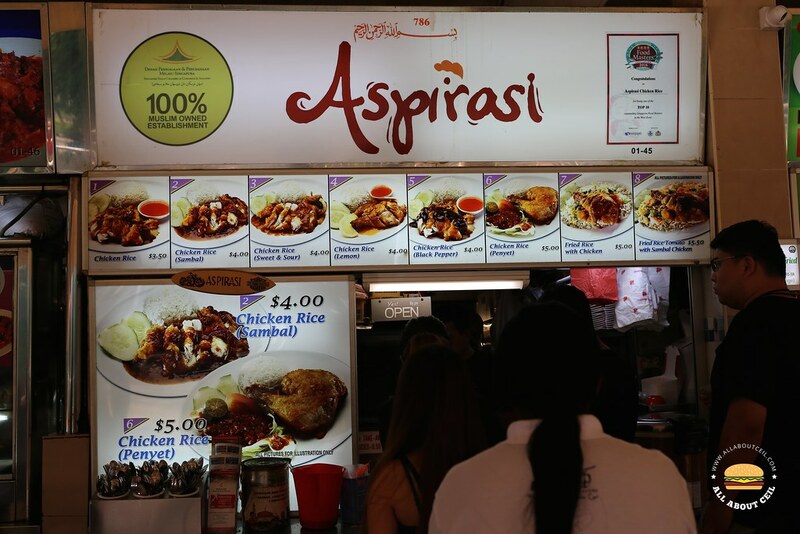 This is one of the oldest stalls that has been in this food centre for quite a while, a Muslim-owned stall that serves Fried Chicken Rice. 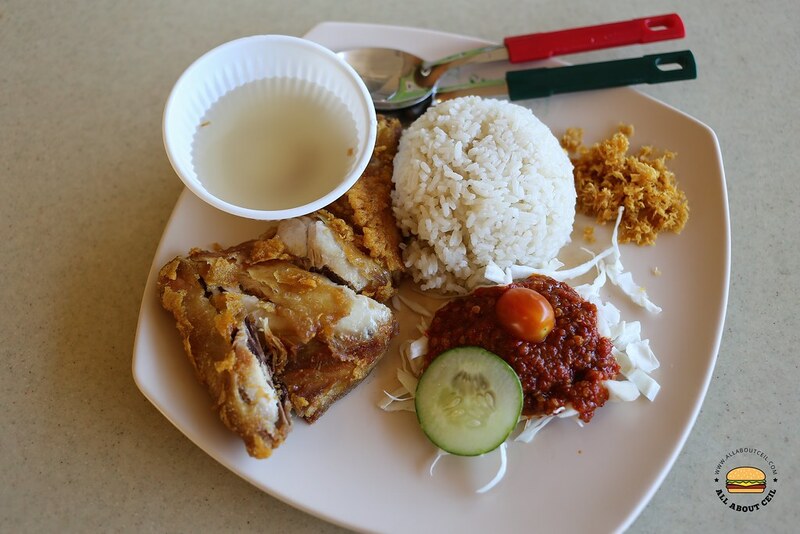 There are the normal Chicken Rice ($3.50), Sambal Chicken Rice ($4.00), Sweet & Sour Chicken Rice ($4.00), Lemon Chicken Rice ($4.00), Black & Pepper Chicken Rice ($4.00), Penyet Chicken Rice ($5.00), Fried Rice with Chicken ($5.00) and Tomato Fried Rice with Sambal Chicken ($5.50). There are various choices to choose from, something for everyone on the menu. I decided to go with the Penyet Chicken Rice. The fried chicken came nicely smashed-up, accompanied by a pile of raw shredded cabbage topped with sambal chili, a slice of cucumber and a cherry tomato, together with a bowl of soup. The well-seasoned chicken was nicely fried to have the delightful crispiness, it was flavorful to eat it without the chili. The spiciness of the chilli can be quite intimidating so go easy. Directly behind this stall is another Malay stall (#Makanboleh) selling curry puffs. So popular that there's a waiting list. If I remember correctly, its just one dollar and very huge!